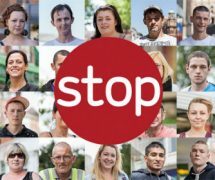 Home » News & Views » Health » Can You Handle Stoptober? Have you seen the TV advert with the big red STOP button being rolled around and whatnot? I bet you’re like most people: not taking much notice but slightly curious as to what they’re on about yet too busy being glued to Facebook or your phone. Well, here’s a little bit of info for you. 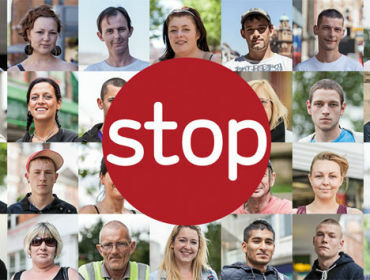 Stoptober is a national campaign to try and get UK’s 8 million smokers to quit. Participants will have to give up smoking from 28 days in October, starting 1st October 2012. 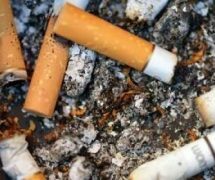 The campaign is backed by Cancer Research UK and the British Heart Foundation who both believe this campaign is an excellent challenge to try and get the smokers of Britain cutting down, or even better, quitting the nasty habit altogether. So why so long? Research shows that smokers are 5 times more likely to stay smoke free after 28 days and with puffing on a cigarette everyday shortening people’s lives, the campaign hopes to teach people that you can live life without the addiction. Boots’ health website states “In Britain 21% of adults smoke cigarettes. In Northern Ireland 24% of adults smoke. 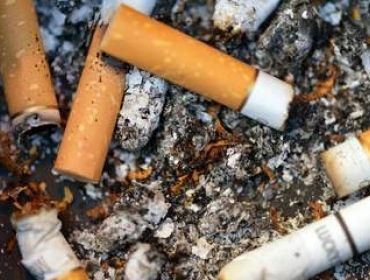 It remains the UK’s single greatest cause of preventable illness and early death, with an estimated 102,000 people dying in 2009 from smoking-related diseases including cancers. Backing the Stoptober campaign the Government’s most senior health advisor, Chief Medical Officer Professor Dame Sally Davies said in a press release: “Smoking is still the biggest cause of premature death in England, taking more than 100,000 lives in the UK every year. As we all know, smoking can be a very tough habit to give up and the campaign understands that. So, to encourage participants to keep up their commitment to the pledge, they can download the free Stoptober app, to monitor their progress and stay on track during Stoptober, which is available online or on a smartphone. Participants can also sign up for a Stoptober Support Pack and get free text messages to help and support them on their difficult yet rewarding journey. So, if you think you are capable of quitting the cigs for Stoptober or know someone who would be interested, visit http://smokefree.nhs.uk/stoptober/ or http://www.facebook.com/NHSSmokefree for more info and to sign up.